Rob Olivera is indisputably the "First Fan" of Wonder Woman. 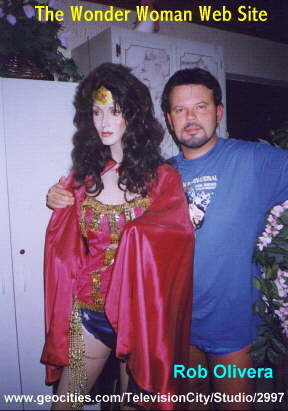 His websites dedicated to Wonder Woman and Lynda Carter are a wealth of information, fun, and absolutely gorgeous! His sites are in my opinion, Required Websurfing for all! We owe him a great debt of gratitude for founding the Wonder Woman Fan Club. I, Selena the AmazonElf, personally owe him more for giving me the honor to serve as the current President, these past two years.